A recent article in the New York Times highlights the ongoing debate among theoretical cosmologists about what happens when you enter a black hole, the so-called “Firewall Paradox”. At stake are some of the basic tenets of modern science, in particular Einstein’s general theory of relativity, the theory of gravity, on which our understanding of the Universe is based. In 1974, British cosmologist Stephen Hawking theorized, using general relativity and quantum theory (the laws which govern behaviors on the smallest, subatomic scales) that black holes, could leak particles and radiation back into space. This in itself generated a 30-year debate, and a famous wager with Caltech physicist John Preskill, on whether such escaping particles would carry some quantum information with them or not. In 2004, Hawking conceded that such information could survive. A group of researchers at the University of California, Santa Barbara studying how information escapes a black hole’s clutches have presented the “Firewall Paradox”: that having information flowing out of a black hole is incompatible with having an otherwise smooth space-time at its boundary, i.e. 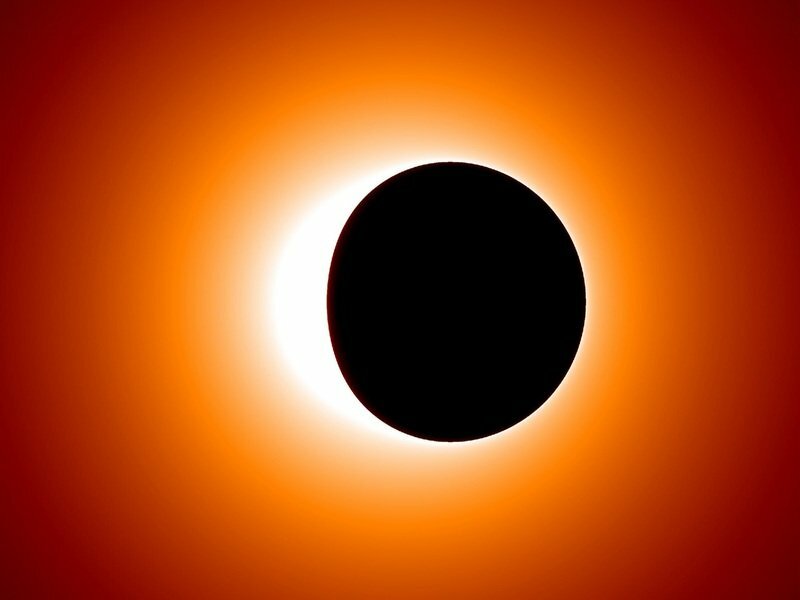 the traditional event horizon. Instead there would be a discontinuity in the vacuum that would manifest itself as energetic particles — a literal “firewall” — lurking just inside the black hole. If the firewall argument proves to be correct, one of three ideas that lie at the heart of modern physics, must be wrong. Either information can be lost in a black hole after all; Einstein’s principle of equivalence is wrong; or quantum field theory, which describes how elementary particles and forces interact, is wrong and needs fixing. To find out more about possible solutions to this problem, read Dennis Overbye’s full New York Times article here. A strange stellar pair nearly 7,000 light-years from Earth has provided physicists with a unique cosmic laboratory for studying the nature of gravity. The extremely strong gravity of a massive neutron star in orbit with a companion white dwarf star puts competing theories of gravity to a test more stringent than any available before. Once again, Albert Einstein’s General Theory of Relativity, published in 1915, comes out on top. A newly-discovered pulsar — a spinning neutron star with twice the mass of the Sun — and its white-dwarf companion, orbiting each other once every two and a half hours, has put gravitational theories to the most extreme test yet. Observations of the system, dubbed PSR J0348+0432, produced results consistent with the predictions of General Relativity. In such a system, the orbits decay and gravitational waves are emitted, carrying energy from the system. 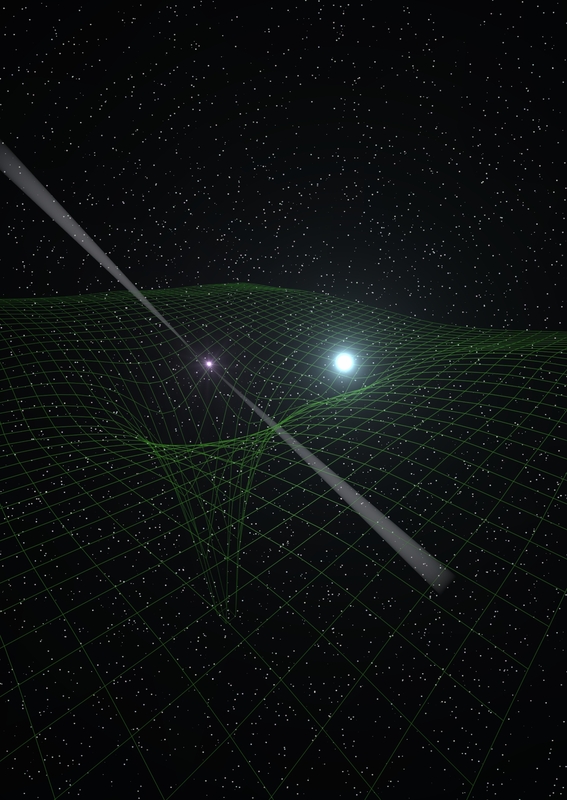 By very precisely measuring the time of arrival of the pulsar’s radio pulses over a long period of time, astronomers can determine the rate of decay and the amount of gravitational radiation emitted. The large mass of the neutron star in PSR J0348+0432, the closeness of its orbit with its companion, and the fact that the companion white dwarf is compact but not another neutron star, all make the system an unprecedented opportunity for testing alternative theories of gravity. Einstein’s predictions were found to hold up quite well, despite the extreme nature of the system. which is good news for researchers hoping to make the first direct detection of gravitational waves. The original NRAO press release may be viewed here.